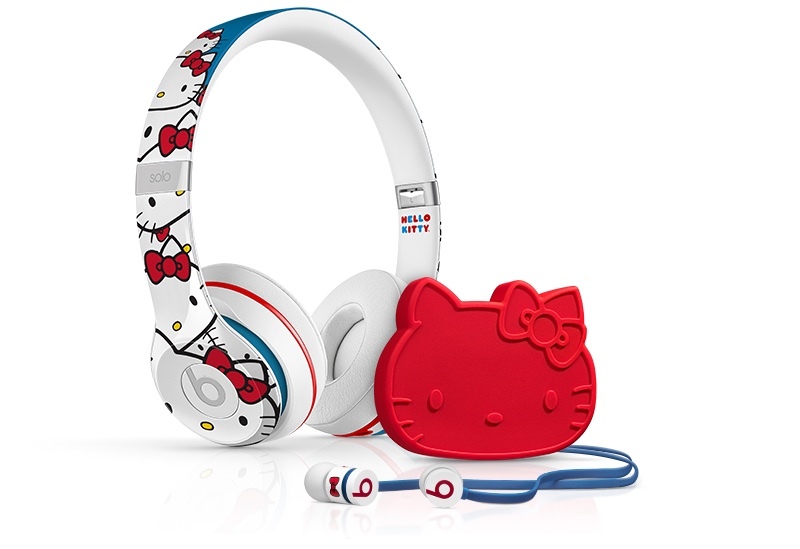 Apple's Beats by Dre headphones brand is teaming up with Sanrio to offer two special edition Hello Kitty-themed products to commemorate Hello Kitty's 40th anniversary (via CNET). Beats has designed new Solo2 over-the-ear headphones that feature an all-over Hello Kitty print in a signature red, white, and blue color scheme, plus new urBeats in-ear earphones that feature the same colors along with a bow decoration and a matching bow-shaped collector's pouch. The new Hello Kitty x Beats Solo2 headphones will retail for $249.95, while the urBeats will sell for $149.95, a $50 premium over standard Solo2 and urBeat pricing. While both products are listed on the Beats website, they won't be available to purchase until after they debut at the upcoming Hello Kitty Con 2014 on October 30 in Los Angeles. What's the big deal? Lots of people like hello kitty especially in Japan. Get over yourselves. Hello Kitty is popular the world around, Apple is smart to support their anniversary, it's good business!! The livery on EVA Air's A330 and B777 have been there for at least 8 years. But create one thing for women and girls in Apple's line, and you scream fail?!? Like some people said, get over yourselves. Did MR suddenly get taken over by The Onion? Apple buys Beats, and now we have to deal with articles like this.